Compared to classical computers, future quantum computers are to far more efficiently solve certain computation problems. While conventional computers execute one computation step after the other, quantum computers can execute many computation steps in parallel. This will accelerate processing of large data volumes. The microstructure of certain materials and elements of the quantum bits, however, is of crucial importance. Researchers of Karlsruhe Institute of Technology (KIT) study materials for such multi-functional quantum bits. Their project Scalable Rare Earth Ion Quantum Computing Nodes (SQUARE) is funded by the European Commission with EUR three million. Contrary to the classical computer chip, the smallest memory element of a quantum computer chip, the quantum bit or qubit, does not only store binary information – 0 or 1, off or on -, but also values in between, called quantum mechanics superpositions. With the help of these quantum properties, many computation processes can be executed in parallel and, hence, computing capacity of a quantum computer is enhanced significantly. "A promising approach to the next generation of quantum computers is based on materials, single systems of which are not larger than an atom and the quantum properties of which can be accessed and controlled optically," says Professor David Hunger of KIT's Physikalisches Institut, who coordinates the SQUARE project. For this, rare earth ions, electrically charged atoms of rare-earth metals, exhibit an outstanding potential that will be studied in SQUARE. The ions can store quantum states for a very long time and can be activated separately by light in special solid-state crystals. Hence, a large number of ions is accessible as qubits. "Thanks to their special electronic structure, rare earth ions are shielded against interference fields," Hunger says. "Moreover, they can strongly interact with each other, which is a major basis for quantum circuits." Quantum properties can be read out directly by light and quantum states can be transmitted to photons. This enables interconnection of distant quantum nodes and their use for quantum communication. Research relating to single rare earth ions still is in an early stage, but "the project concentrates on a highly promising platform that offers many advantages over established approaches, such as ions captured in vacuum devices and superconducting quantum circuits," David Hunger says. SQUARE is aimed at establishing rare earth ions that can be addressed separately as basic building blocks for scalable quantum technologies. 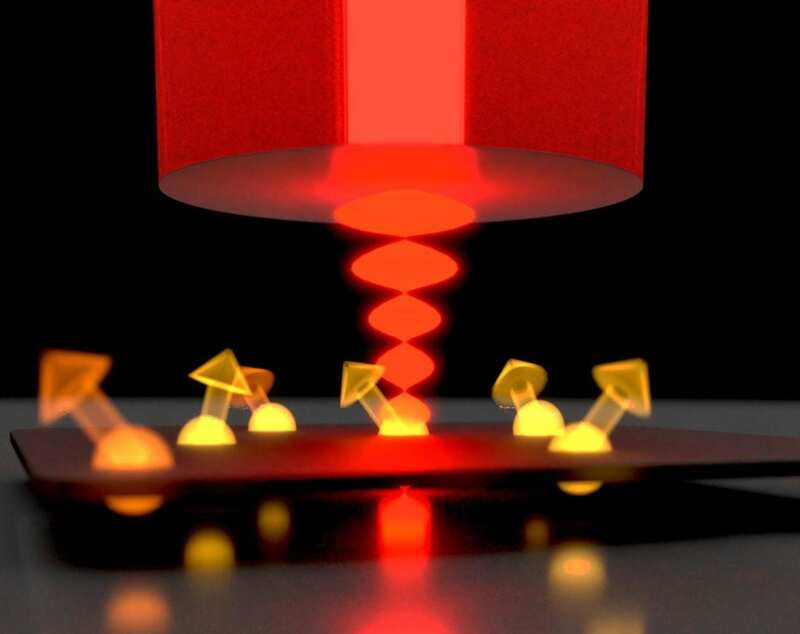 In particular, it is planned to demonstrate functional elements of a multi-qubit quantum register that can be read out optically and to realize building blocks of a quantum network. This will significantly enhance computation capacity of quantum computers in the future. In cooperation with industry partners, central technological components required for scalable implementation will be developed. The European Commission funds SQUARE within the framework of the Quantum Technology Flagship. Over a duration of ten years, it is planned to invest a billion euros into research relating to quantum technologies. With this, development of novel technologies based on elemental quantum effects will be accelerated and closer cooperation with industry will be initiated to speed up development to maturity. Being "The Research University in the Helmholtz Association, "KIT creates and imparts knowledge for the society and the environment. It is the objective to make significant contributions to the global challenges in the fields of energy, mobility and information. For this, about 9,300 employees cooperate in a broad range of disciplines in natural sciences, engineering sciences, economics, and the humanities and social sciences. KIT prepares its 25,500 students for responsible tasks in society, industry, and science by offering research-based study programs. Innovation efforts at KIT build a bridge between important scientific findings and their application for the benefit of society, economic prosperity, and the preservation of our natural basis of life.